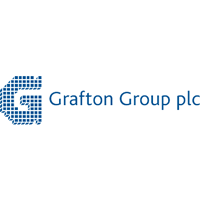 Grafton Group plc (LON:GFTU), the merchanting and DIY Group with operations in the UK, Ireland, the Netherlands and Belgium, is pleased to announce that it has conditionally agreed to acquire Polvo BV from the privately owned Pallieter Group for €131 million on a debt and cash free basis. Polvo is one of the top three leading businesses in the specialist ironmongery, tools, ventilation systems, fixings and related products market in the Netherlands. It trades from 51 branches and is an excellent geographic fit with the Group’s Isero branch network. The acquisition will extend Grafton’s coverage in the Southern, Western and Eastern regions of the Netherlands, where Isero is currently underrepresented, giving exposure to new product segments of the market and a more diversified customer base. The combined business will have revenues in excess of €300 million and trade from 113 branches. Grafton will have a market leadership position in the Netherlands specialist tools, fixings and ironmongery distribution market. Polvo reported revenue of €127.3 million and adjusted operating profit of €10.6 million for the year ended 31 December 2018. Gross assets were €64 million at 31 December 2018. The purchase consideration of €131m includes €15m for nine freehold properties and will be funded from the Group’s cash resources and loan facilities. The acquisition is expected to be earnings enhancing in its first full year of ownership. The transaction is expected to complete before the end of June 2019, subject to consultation with the Polvo Works Councils, a condition that is customary for a transaction of this nature, and approval by the Dutch Competition Authority. Click GFTU for the full archive.